Hello all you CeXy folks! Have we impressed you with our commitment to giving old tech a new home? How about our CeX Clinic repairs service? 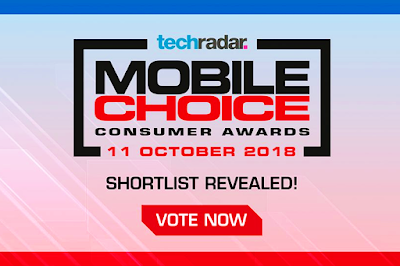 It's time for us to ask you for your vote in the TechRadar Mobile Choice Consumer Awards 2018! The competition will run through the month of August until the 31st and we're counting on your votes. If we're your number one for recycling OR repairs, click the link HERE and vote for us as your 'Best Repair Service' and 'Best Recycling Service' 2018. All you've got to do is click the link & complete to vote for us to win and the best part is that you could even win a Tech bundle courtesy of TechRadar!